This was the first quilt I made from vintage fabric. 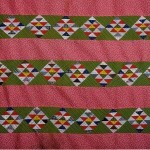 The prints are more 40’s and 50’s so the colors are brighter than some of my other quilts. It’s entirely hand pieced, which is unusual for this pattern since it’s an easy pattern to sew on the machine. 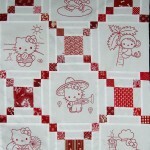 When I began to seriously quilt again about 8 years ago, I wanted to hand piece everything. 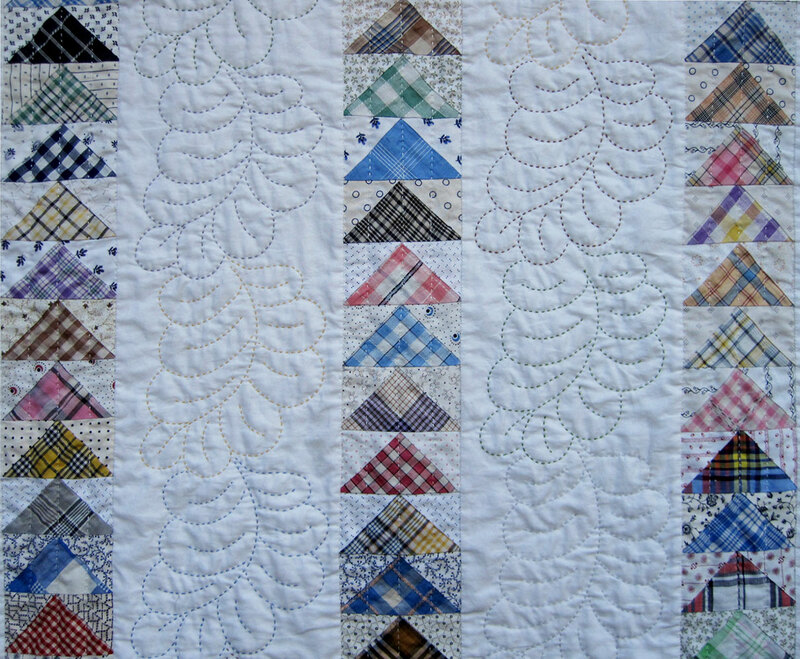 When it came time for the quilting, I did a couple of rows and decided I didn’t enjoy it nearly as much as the piecing. 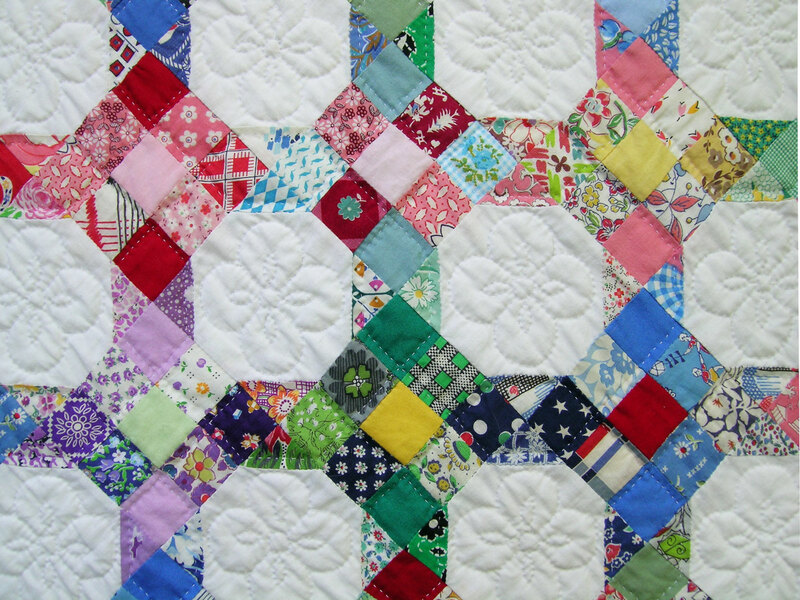 I thought about the church ladies in Ohio who had finished the quilting on my first quilt, Morning Glory in the 70’s (and several quilts for my mother and mother-in-law), and decided to contact them. 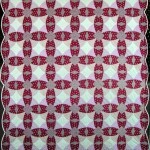 Mrs. H responded that her group was still quilting and they would be pleased to finish my quilt. I packed up the quilt and mailed it the next day. About a month later I got it back and was so excited to take a look. Well, friends, you would not have believed what I found. The poor church ladies must have been really old by then because the quilt was a complete mess — the stitches looked like a child had done them, there were really dark pencil lines from tracing the flower template, and the muslin back was covered with little blood stains. I was devastated! After I recovered from the shock, I started the process of taking out all of their quilting and doing it over — one block at a time. Here’s what I used: seam ripper, tweezers, a little cup of diluted Oxyclean, Q-tip, and hairdryer — it took about 6 months to complete. The good thing that happened was that I began to enjoy hand quilting, which is now my favorite part of the quilt-making process. Martha, this is a beautiful quilt! You are so good with colors – at first glance it looks scrappy, but on closer look, the combinations are perfect! That is an awesome quilt! 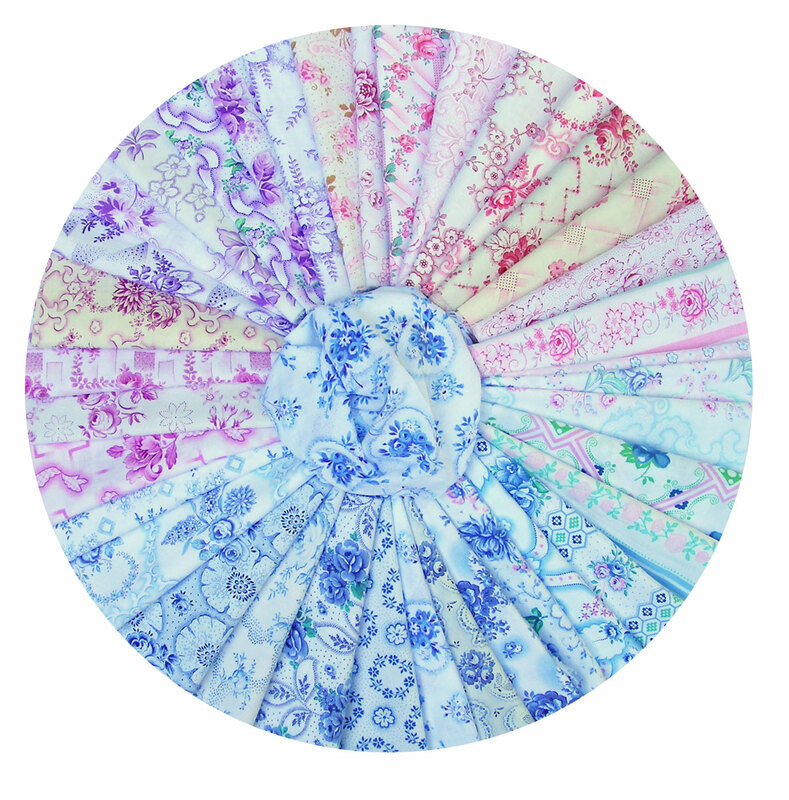 The fabrics are SOOO pretty! I used to be drawn to browns, but I’ve morphed into a light, bright and cheery lover. It fills that bill to perfection! The beginning and end of its story are beautiful. I’m sorry it had a rocky middle. You must be VERY patient! So beautiful, and I have no idea what’s turned the wrong way – it looks just perfect to me. 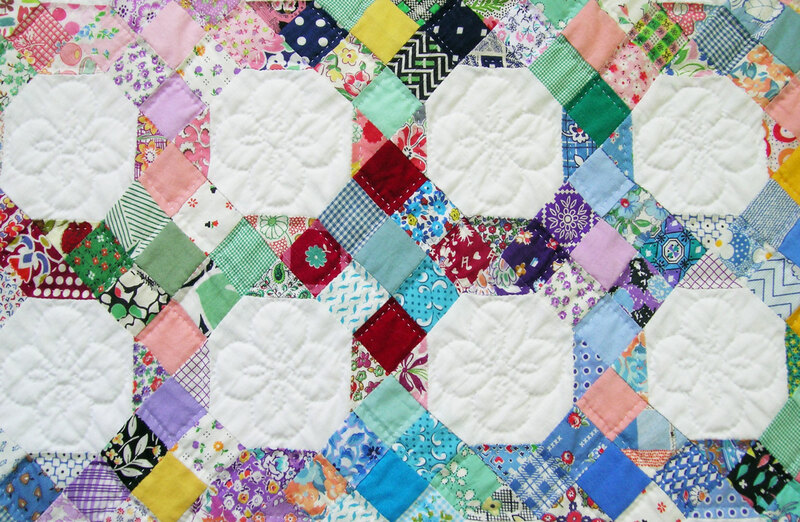 I was so surprised that the church ladies got your quilt back to you so quickly – any groups I know of like that have waiting lists for the waiting list – but then I read on. That’s kind of sad. All’s well that ends well, though, and your quilt is lovely. So lovely! Nobody but the maker of the quilt would see that something was quilted in a different direction…that is the beauty of a hand-made item. You get to know the piece better than anybody else will ever be able to! 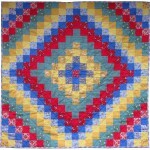 Do you have some kind of color pattern in mind when you are putting your quilts together? It all flows so beautifully! I love to think that it happens by chance, but have a sinking feeling that it may involve a skill that I have yet to develop. This quilt is amazing, well worth all that extra effort you went through to get it to look just like this. What incredible perseverance! 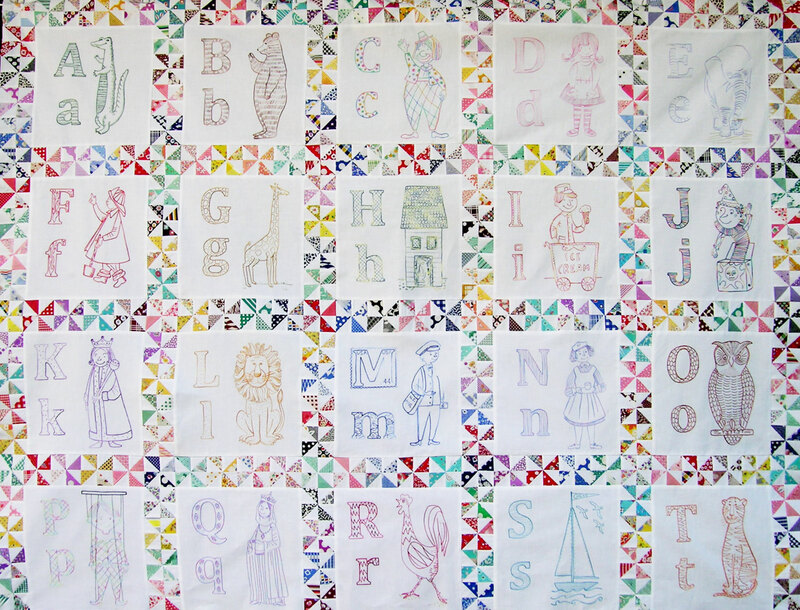 Love the end result, a truly inspiring quilt. So beautiful!! The fabrics made my jaw drop. And here’s to happy accidents! What a great story! I hope I can learn to hand quilt — and enjoy it too! 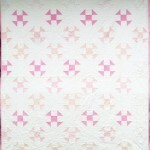 Hi, I’m about to embark on a snowball quilt but I don’t think it will be anything as beautiful as yours!! 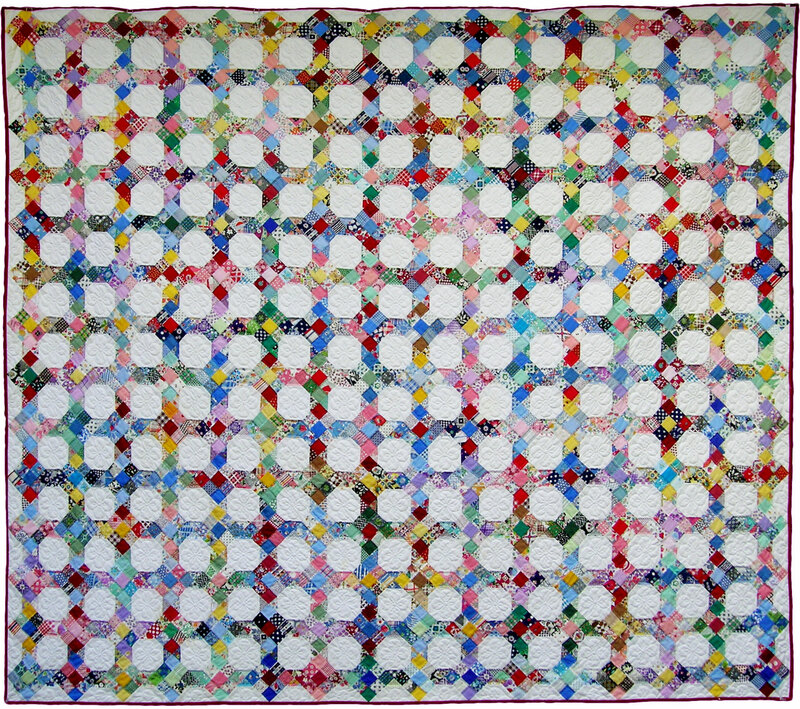 Your quilt really sparkles with all those lovely colours and the red in it is gorgeous. Keep up the good work!! You have encouraged me to to keep on going too! 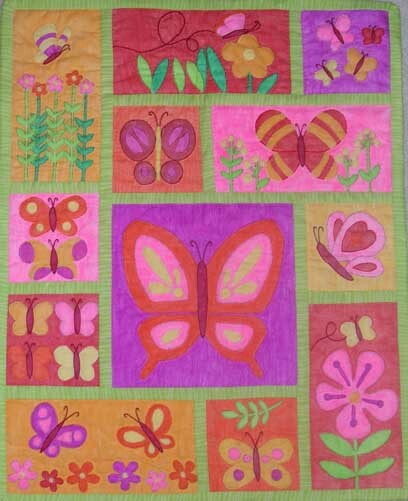 Hi Martha, I stumbled upon your blog and fell in love with this quilt. I’m attempting to copy it now and use up alot of my 1940’s scrap fabric. Do you remember what size your snowball and nine patch block were? Also, did you use the strip piecing method to sew your nine patch? Thanks in advance! one as an example. Ours will never be as beautiful as yours. 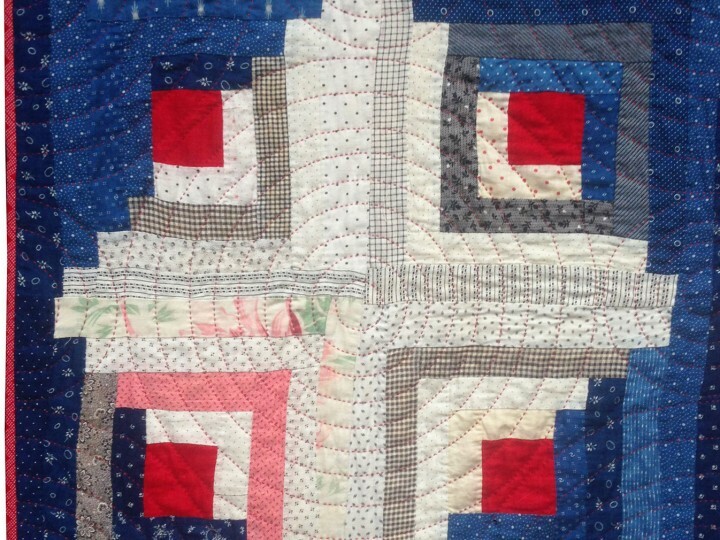 In a lot of older quilts you will find deliberate mistakes. 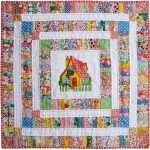 The old wives saying is that the quilter did not want to offend God by making something perfect. Thus a block turned upside down or backward. What are the sizes of the blocks? 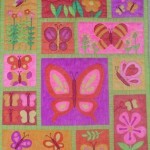 I have many left from a 9 patch swap that would be fun to use in a quilt like yours. Beautiful quilt. Those church ladies were being kind and giving you their precious time and love. 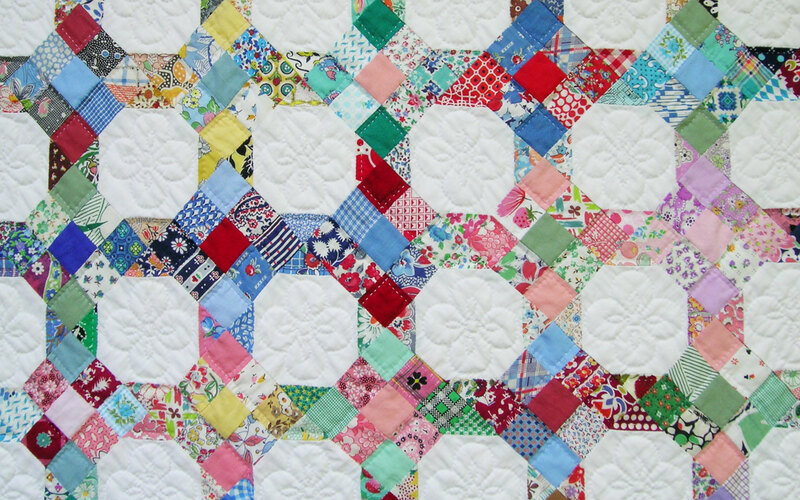 Beautiful, I love the old fabric….and I never did find your “mistake”.